Is Listerine Mouthwash A Good Mosquito Repellent? Did you know that bats eat mosquitoes by the truckload? A bat will eat a lot of insects in a single night, but how many of those will be mosquitoes? It’s a question that I’ve always wondered about. People say that using bats to control the mosquito population is a great way of keeping their numbers down. There’s not a lot of calories in one mosquito. And unless they are in a huge swarm, the energy a bat uses to fly around chasing hundreds of them makes eating only mosquitoes a waste of energy. In a lab where only mosquitoes are available to eat, a bat will eat a lot of them. This is where a lot of the facts and figures about mosquito-eating bats come from. In agriculture, large bat populations do make a difference to insect populations. Some studies say there are 32% fewer mosquito eggs in areas with lots of bats. But this is on a large scale. There will also be a lot less other insects around in bat habitats, not just mosquitoes. So as a natural mosquito repellent, bats aren’t the way to go. There are much more efficient ways to repel mosquitoes from both inside and outside your home. Do Bats Eat A Lot Of Mosquitoes? Many species of bat will eat mosquitoes, but also other insects. 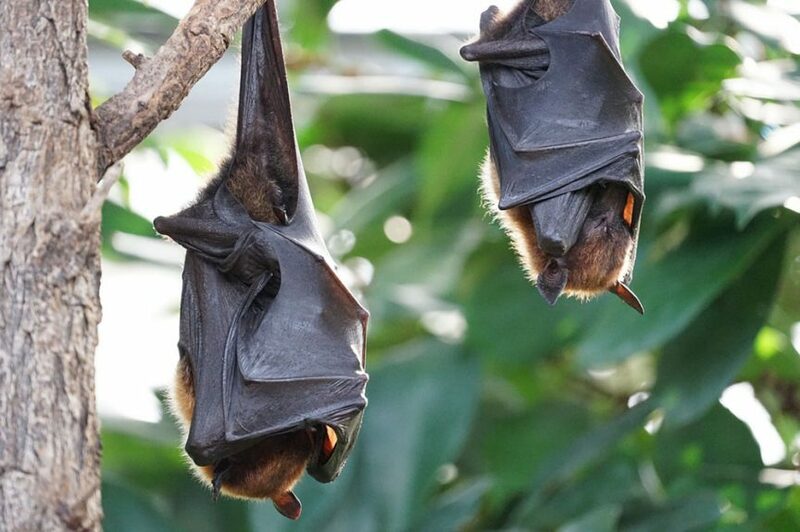 One bat can eat up to 1,200 mosquito-sized insects every hour. In a single night, a bat will eat a lot of insects: 6,000 to 8,000 mosquito-sized insects each night! Mosquitoes their primary diet, which make them a great natural mosquito predator. The bat species has to be small. Due to this fact, I’ve come to the conclusion that bats don’t work well as a method of mosquito control. Even if this is done in areas with lots of people or other mammals. Bats get more protein from a female mosquito who has just had a blood meal, or a female mosquito who is carrying eggs. But it will still be less than a juicy beetle, or a fat moth. How Many Mosquitoes Can A Bat Eat In A Minute? In laboratory conditions, a small bat – or micro bat – can eat between 2 and 9 mosquitoes in a minute. In the wild, a single bat has the capacity to eat 9 mosquitoes per minute in the right conditions, but this rarely happens. A wild insectivorous bat most commonly eats under 5 mosquitoes in an hour, not in a minute. In the 1960s, a study by one often quoted researcher told us about bats eating between 2 and 9 mosquitoes every single minute. That’s over 500 an hour. This study was done in a lab where the only food source was the mosquito (and there were plenty of them). There were no strong winds. No trees in the way. No bat predators. And no other insects to choose from. In short, this was a very artificial experiment which told us how many mosquitoes a bat can potentially eat. In reality, this simply doesn’t happen. More recently, a study of local wild bats showed that only two of the smallest species ate mosquitoes. The mosquitoes these micro bats ate made up less than 5% of their total menu. The tiniest 4 gram bat would need to eat at least 650 mosquitoes a night just to keep it alive. Flying around all night catching pesky skeeters would use up a lot more energy than it’s worth. It makes more sense to catch 150 moths and pick up mosquitoes found along the way. And this is exactly what happens in the wild. Unless there are huge swarms of mosquitoes available, a small bat can’t seriously be considered as a method of mosquito control. In agriculture, however, where there are many more pests and larger bat populations, bats are much more useful. What Insects Do Bats Eat? Perch Hunting: The bat waits until food passes close by, then chases and eats it. As all bats, except some fruit bats, are nocturnal and/or crepuscular, it makes sense that they eat nocturnal and crepuscular insects. But a bat can use echolocation to figure out the shape of a sleeping bug if it is exposed. This is one of the many reasons daytime bugs find somewhere sheltered at night. When dusk and dawn are particularly long, a bat might also find a diurnal insect to add to the menu. If you’ve read some of the other articles on my website, you’ll also know that mosquitoes are clever. They can change their wake-up and sleep times to match ours, or to avoid predators. So if there are lots of mosquitoes and lots of bats sharing the same environment, the mosquitoes might become more active in the daytime to avoid getting eaten. A great strategy, which makes attracting bats even less likely to work in practice. Have a lush gree garden: A bat loves a green environment, give them what they need! There’s nothing wrong with attracting bats to eat a few mosquitoes, but they won’t make much of a dent on mosquito populations. A bat will eat the occasional mosquito, along with many other insect pests. I really see no point in redesigning your garden so that bats move in just to get rid of your mosquitoes. Especially not because there are much better anti-mosquito alternatives out there. If you have bats in your garden, they will eat any crepuscular or nocturnal insects, mosquitoes or not. But bat populations are declining, so if you want to do something for the environment adding bat roosts to safe areas of the garden is a good idea. If bats move in, don’t expect this to be the end of mosquito bites. It won’t be! Bat attractants and lures don’t work and it is illegal to buy or sell bats, so the only way you will attract them is by creating a safe shelter they can recognize as home. Bat houses should be placed at least 12 feet from the ground and in a place which catches the (primarily morning) sun for at least 6 hours. Even though bats in the garden won’t do much about the mosquitoes, they will remove a lot of other insect pests. But as a method of mosquito control, forget it! Buying bats for mosquito control, or for any other purpose, is illegal. If someone offers bats for sale, don’t buy them. Purchasing bats online or from other sources won’t control your mosquito populations. You could end up with a hefty fine. There are much better ways to control mosquitoes. Bats aren’t one of them. Bats are having a tough time all around the world. A lot of insect populations (not mosquito populations, unfortunately) are dwindling. Urbanization is removing natural bat habitats. White-nose syndrome in the U.S is killing bats off in their thousands. Some species are becoming very rare. So buying bats in the U.S and in Europe is now illegal. Buying bats to kill mosquitoes – is it worth the effort? The answer is no. Even if you have swarms of mosquitoes on your land, a bat has to work a lot harder to catch enough of them to supply the calories it needs to stay alive. It will prefer larger bugs, with just a peppering of mosquitoes to make the menu more interesting. Your mosquitoes will still bite you, bats or not. So, are bats a natural mosquito repellent? No. A repellent is something that keeps something else away. Mosquitoes don’t avoid areas where bats hunt. But mosquitoes can, and do, avoid the times when large bat populations are hunting for prey. Bats also do not eat anywhere as many mosquitoes as we are told they do. For years, people have been suggesting that one of the best ways to get rid of a mosquito infestation is to attract bats to your yard. This isn’t great advice. Yes, it’s nice to bring in native wildlife and do your bit for nature. But a bat as a mosquito repellent? Forget it. All you have to do is put yourself in a bat’s shoes. What would you rather do? You have one night to get enough calories to survive. Do you go around picking off tiny berries one at a time from the bushes? Or do you make a bit more of an effort and jog to the hotdog stand you can see in the distance? You can always pick berries on the way there, after all. 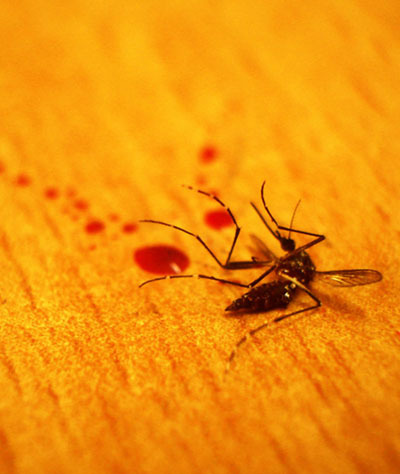 Better Than Bats – What’s The Best Mosquito Repellent? By now you know that bringing bats into your garden won’t do much to lower the risk of getting bitten. This doesn’t mean it’s not a good idea to put up bat houses – it is. It’s a great idea, as it gives local bat populations a safe place to roost. It’s just as a method of mosquito control you won’t notice any difference. There are lots of mosquito repellents that work much, much better than any bat (even one that loves eating mosquitoes). I’ve collected together some of the best and added them to this overview page. Have a quick browse and find some tried and tested and much more efficient mosquito-busting alternatives to bats. While you’re here, how about checking out some of the many informative articles on my site? You’ll learn so much about mosquitoes, you’ll be able to write a book about them!